Find your place. Feel at home.  ShipRock Management is a local housing leader in both quality and affordability. We’ve gained this reputation in Duluth, Superior, the greater Twin Ports area and St. Cloud by taking no tenant for granted. We’ve kept it by striving to provide the best service possible. We are licensed and regulated by the state of Minnesota, assuring you fair and proper treatment.